Julia and Elliot's wedding was truly a celebration of their two traditions coming together as one. 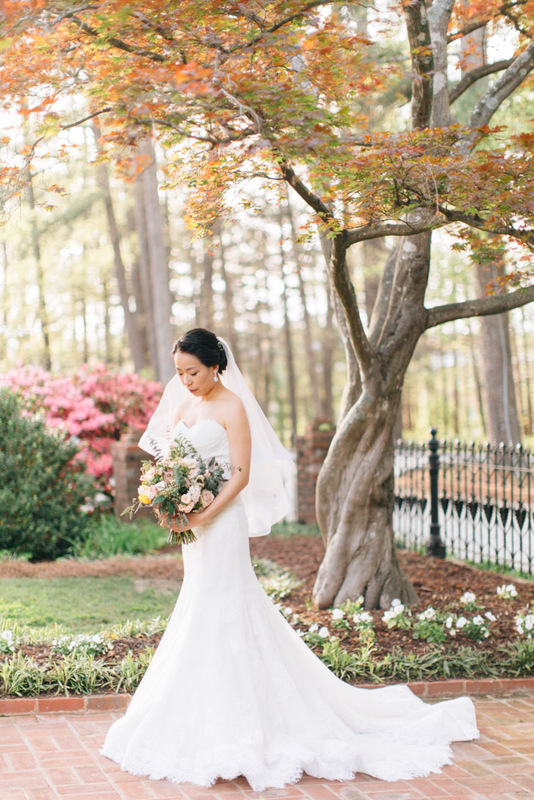 They were married already in China before their wedding at Flint Hill, so for their wedding here in Atlanta, they drew inspiration from both Jewish and Chinese tradition. The men wore kippot and Julia & Elliot were under married a chuppah adorned with gorgeous Spring florals. This was followed by a reception where she changed into a Chinese wedding gown and they danced the Hora before celebrating the night away! Here are a few favorites from their beautiful wedding at Flint Hill!